Nilotpal is an IT veteran with 52 years of experience and one of the first generation IT professionals in India. 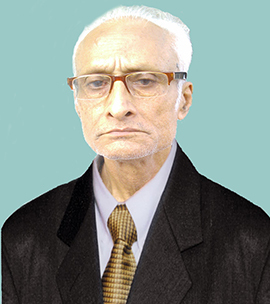 He has started his career in 1961 when Information Technology was in it’s nascent stage and just started in INDIA. He has brought his expertise and association with companies like IBM, IDM, BTS, COMPAQ & HP. His multispecialty large project experience is an asset to Eduplex and a motivation to the team. He has seen few of our IT & corporate leaders to grow and still enjoys the same rapport as “Royda”. He is famous for his project execution capability and leverage his long experience even in current technology domain. He is currently helping the team on operation & execution management as consultant.